Naomi Campbell at the US Doctors for Africa honoring the First Ladies of Africa Gala. Naomi Campbell at the Swarovski Fashion Rocks concert. Naomi Campbell at the Murakami Gala an event honoring fashion designer Marc Jacobs. Naomi Campbell at the Boy George And B-Rude LFW Spring Summer 2008 show. 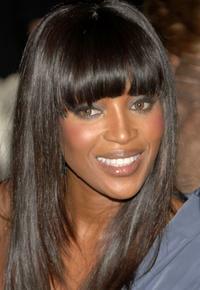 Naomi Campbell at a Fashion Relief Show during the London Fashion Week 2007. Naomi Campbell at the Elle Style Awards. Naomi Campbell at the 5th Marie Claire Magazine Awards. Naomi Campbell at the fashion industry's battle against HIV/AIDs at the "7th on Sale" gala. 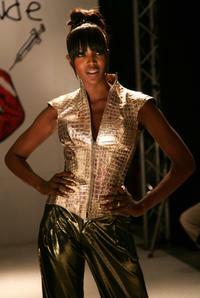 Naomi Campbell at the Kisa LFW Autumn/Winter 2008 show. Naomi Campbell at the Mercedes-Benz Fashion week. 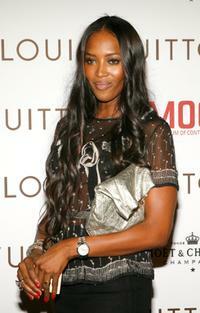 Naomi Campbell at the Moet and Chandon "Mirage" evening. Naomi Campbell at an honourary dinner at the Dorchester Hotel. Naomi Campbell at the Unite For A Better World Gala Dinner. Naomi Campbell at the 60th International Cannes Film Festival. Naomi Campbell at the London Black Leaders Dinner. Naomi Campbell at the Operation Smile 25th Anniversary benefit gala. Naomi Campbell at the GQ Men of the Year Awards. Naomi Campbell at the launch of OmniPeace by Signorelli Tress. Naomi Campbell at the dinner after the ballet "Thanks Gianni with Love."